Chord Scale Bundle (Chord NOTE, Guitar Kit and Piano Kit), PET Bottling, Kappa Theater has updated! They include iPad Pro 11-inch and iPad Pro 12.9-inch (3rd generation) support. 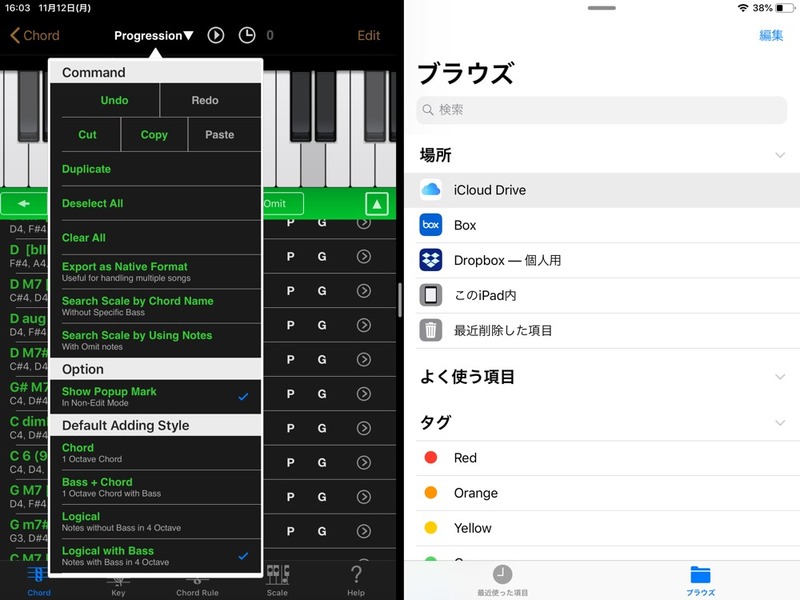 And Chord Scale Bundle realize unlimited undo and redo on Chord Progression, Chord Sheet. 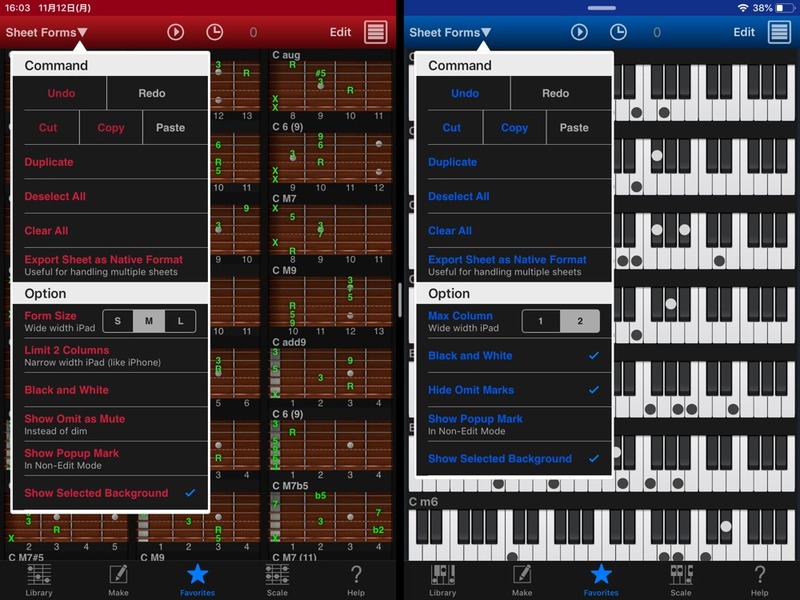 Added a feature that user can show only chords you selected on main chord list in “Advanced Option” (In-App Purchase ). Fixed problems about a feature to add all chord forms are not existing in library when user export SMF. Moved indicator to left top for usability. Changed timing to play falling cap sounds to touch down. Now indicator shows position of falling cap sounds. « Kappa Theater 4.0 has released!